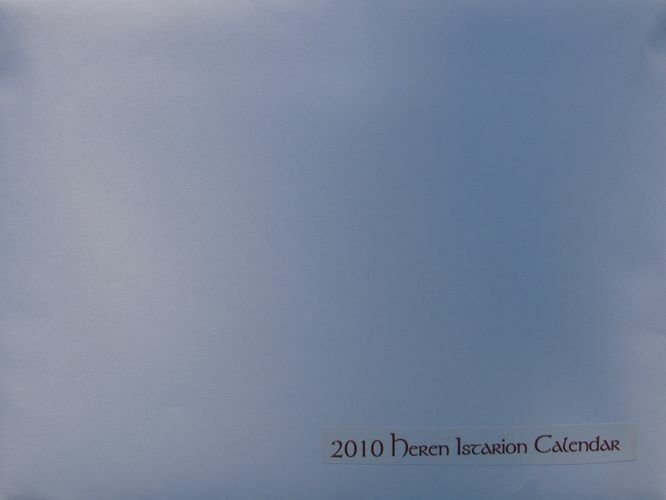 The series of calendars from Heren Istarion/Northeast Tolkien Society (HI/NETS). 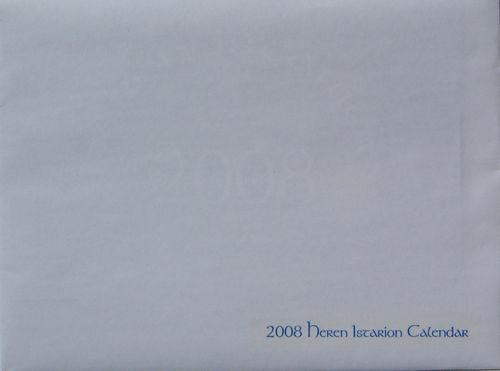 Personal favorites of mine as they allowed me to cross "Creating a Tolkien calendar" off my bucket list. Many thanks to the artists who have contributed some wonderful illustrations over the years and kept HI/NETS going. 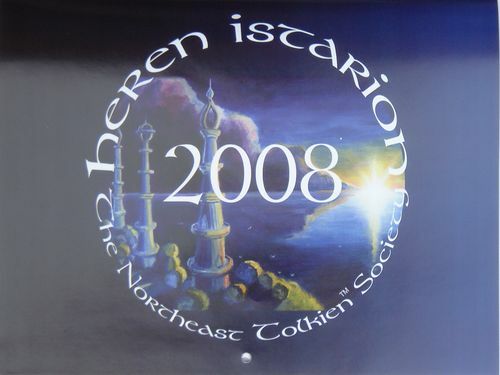 "Heren Istarion 2008 The Northeast Tolkien Society" Illustrations by Ted Nasmith, Jef Murray, Catherine Sparsidis. 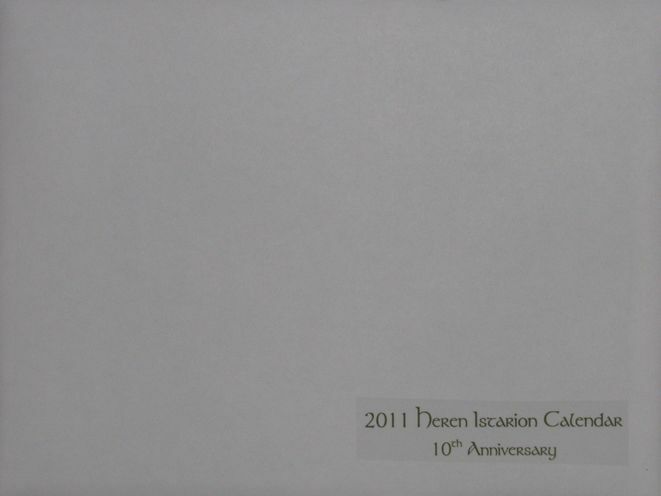 Dimensions: 11 x 8.5 inches (w x h); stapled; punched hanging hole; white envelope. 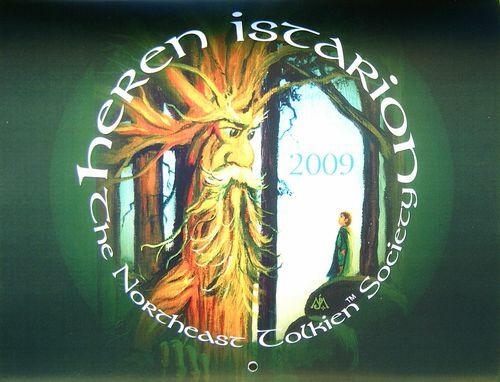 "Heren Istarion 2009 The Northeast Tolkien Society" Illustrations by Catherine Chmiel, Colin Williams, and Jef Murray. 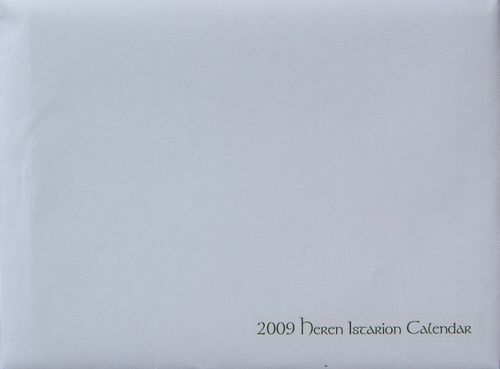 Available from Heren Istarion/Northeast Tolkien Society. Dimensions: 11 x 8.5 inches (w x h); stapled; punched hanging hole; labeled white envelope. 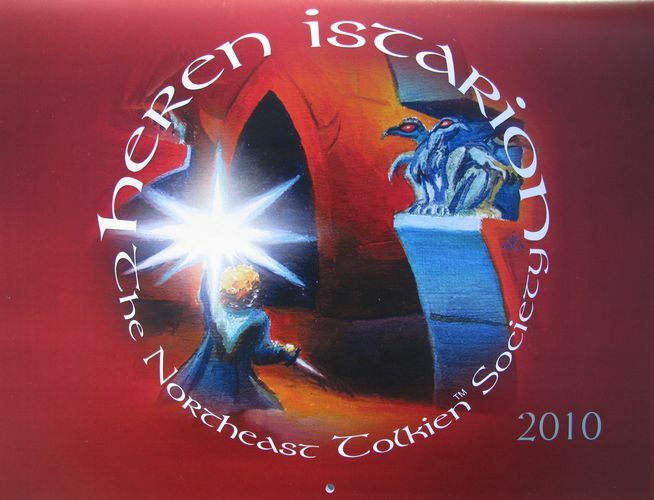 "Heren Istarion 2010 The Northeast Tolkien Society" Illustrations by Jef Murray, Ruth Lacon, Henning Janssen, Sue Wookey, Ted Nasmith. Dimensions: 11 x 8.5 inches (w x h); stapled; punched hanging hole; white envelope. 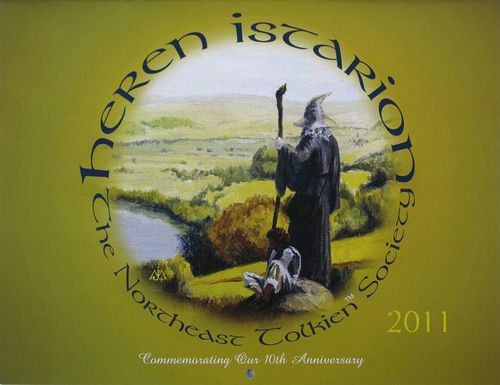 "Heren Istarion 2011 The Northeast Tolkien Society 10th Anniversary Issue" Illustrations by Anke Eissmann, Sue Wookey, Jef Murray, and Catherine Sparsidis. Dimensions: 11 x 8.5 inches (w x h); stapled; punched hanging hole; white envelope.